So you landed your dream rental property and now you’re ready to see the cash flow. The documents are signed, you have great tenants, and now you’re all set. At last, you’re a landlord! But, wait right there! You forgot to consider one important thing: insurance. Becoming a landlord is an exciting opportunity, but it certainly comes with its responsibilities. Ensuring tenants are safe, rent is paid, and the property is livable at all times is required. Insurance is also one of these vital components of being a landlord. You’re entering into new territory, and are unsure about what type of insurance to have. 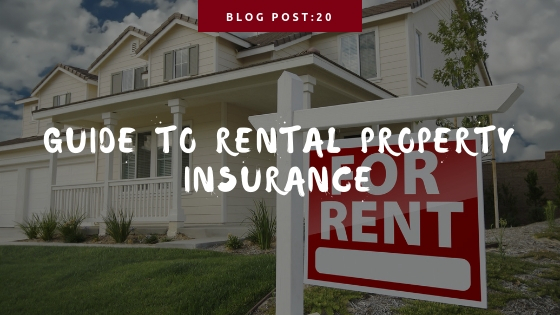 The question of what type of insurance is needed for a rental property is a common one, so you’re certainly on the right track to getting answers. If you have a single family home, then homeowners insurance for a rental property may seem like the most logical choice. But, just because it’s a traditional home doesn’t mean your insurance will be a traditional homeowner’s policy as well. Read on to learn what type of insurance you need for your rental property. Homeowners Insurance for a Rental Property: Yay or Nay? Homeowners insurance is needed for traditional home buying purchases. If you’re using your home as a rental property, however, your insurance needs may change. Continue reading to decide what type of insurance you need to rent out your home or rental property based on the following considerations. How long you decide to rent out the property will determine what kind of insurance you will need. How often you rent out your property to others will also factor into this determination. If the home is your primary residence, but you rent it out from time to time for a weekend or two, then homeowner’s insurance is likely to cover you. For example, if there is a festival in your town and you rent out your residence to visitors during this week, then homeowner’s insurance should suffice. It’s always a good idea, however, to directly speak with your insurance agent to make sure you’re covered. With options like Airbnb and HomeAway to rent your home, modern home insurance policies have special endorsements to make sure your covered. Many times you will need to add this coverage onto your insurance policy to cover the occasional tenant. The last thing you want is for a fire to break out while your guests are renting only to learn that your homeowner’s insurance won’t cover the damage. If your plan is to rent out your primary residence in short intervals on a regular basis, however, then you made need a landlord policy. At the very least, you’ll need a business policy which covers a “bed and breakfast” rental situation. This is because homeowner’s insurance doesn’t cover business-related activities. By renting out your primary residence on a regular basis and not just for the occasional event, you are gaining regular income. Discuss with your insurance agent how often you rent out your home and for what length of time. They will be able to direct you to the most secure rental policy available. If your home is a vacation home you rent out, you’ll likely fall under this category as well. Lastly, if your rental property is solely used for rental purposes year round or for months at a time, then you will definitely need a landlord / rental dwelling policy. These policies will cover any damages to the home due to inclement weather, fire damage, or other covered perils. A landlord policy ultimately covers the structural aspects of the home as well as liability if a tenant or guest is hurt inside the home. Additionally, these policies cover personal items left inside the home for maintenance or tenant usage such as appliances. Another component of rental coverage if your policy covers it is income lost due to the home need renovations or being rebuilt completely. This furthers the protection of your investment by offering you peace of mind in case extensive damage occurs. If your rental situation lies outside of these parameters discuss it thoroughly with your insurance agent. Better safe than sorry! If you’re renting out your property, then it’s also a good idea to require your tenants or guests to have traveler’s insurance or renter’s insurance. These insurance policies will protect their personal property items as well as offer them liability insurance. If you’re renting to tenants long-term then you can include in your rental contract a requirement for renters to have renter’s insurance. If damage occurs to your renter’s property because of water damage or certain natural disasters then a dispute may be the result. To protect your investment and your time further it may be wise to include this as a requirement to avoid potential disagreements or claims in the future. Additionally, if your tenants cause damage to your property or someone gets hurt on your property because of your tenants actions you want to make sure they have liability coverage under a renters policy to be able to pay any resulting bills from the accident or lawsuit. Each insurance agency will have different definitions as to what constitutes renting out a property. Some companies may not consider a family member renting from you as a need for a landlord policy. Other companies, however, may decide otherwise. Insurance companies may also take into account the structure of the home and where the entrance to the rental unit is. It’s possible, for example, that you could be living in your primary residence, but renting a separate building on the property. Your insurance company will need the answers to specific questions like these to make sure you are properly covered. When searching for and comparing policies always may sure to pay attention to the language used in the policy to determine if it will cover your rental needs. Mathenia Insurance can help you compare multiple policies to get the best rates and coverage for your homeowners insurance needs. Ready to Get Covered by a Landlord Policy or Homeowners Insurance for a Rental Property? Investing in a rental property can at first be intimidating. Deciding between homeowners insurance for a rental property or a landlord policy can be made easier by speaking with a qualified insurance agent. Never feel like you need to understand everything about owning a rental property. To be a successful landlord, you simply need to seek counsel, find a financial advisor and listen to the guidance of a reputable insurance agent. If you’re ready to purchase a new policy or invest in a new insurance company, then consider working with Mathenia Insurance located in the greater St. Louis, Missouri and get a free quote today. We can compare contrast insurance policies to guarantee that you get the best policy for your insurance needs.